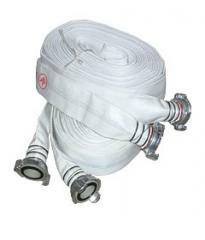 Pressure head fire hose are used in fireplugs and figurative motor-pumps for the purpose of water supply and water solutions of frothers on distance under pressure. Length of a skatka — 20 ± 1 m, internal diameter — 51 mm. It is completed with 2 nuts of GR50. Pressure head fire hose are used in fireplugs and figurative motor-pumps for the purpose of water supply and water solutions of frothers on distance under pressure. Length of a skatka — 20 ± 1 m, internal diameter — 66 mm. It is completed with 2 nuts of GR70. 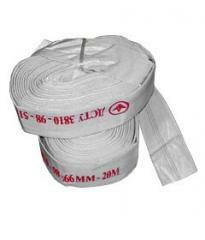 Unbelievable price on Firemen sleeves in Kharkov (Ukraine) company APS-SPECODEZhDA, OOO. Wide choice of quality products at affordable prices.